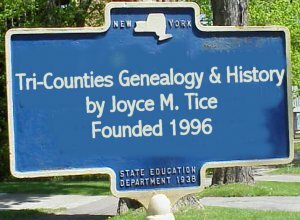 Reference Books - Tioga County, Pennsylvania; Bradford County, Pennsylvania, and Chemung County, New York. Do You Know that you can search just the Reference Books by using the Books button in the Partitioned search engine at the bottom of the Current What's New Page? Sone of the books have their own search partitions, such as 1883, Bradsby, heverley, etc. so that you can search just one book. Index of Selected Issues of "The Settler"
Gutenburg Gutenberg Project - Thousands of books to read online or download free. 1868 Chemung Valley Directory with EXTENSIVE early history included. Tired of the old histories that left the women out? Now is the time and here is the place to give your female ancestor the recognition and honor she deserves. Thank her for your existence by letting us know about her. Commerce is the core of society. Tri-County Business Histories presented here. Old Tioga Point - Ch. 6. If you are not navigating this site via the left and right sidebars of the Current What's New page you are doing yourself a disservice. You can get to any place on the site easily by making yourself familiar with these subject and place topics. Try them all to be as familiar with the site's 16,000 plus pages as you can. Stop groping in the dark and take the lighted path. That's also the only way you'll find the search engines for the site or have access to the necessary messages I may leave for you. Make it easy on yourself.